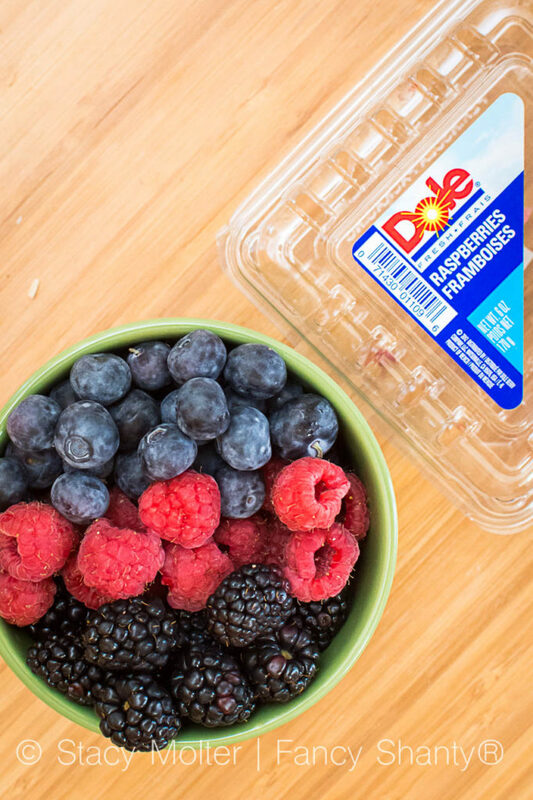 Two of our favorite brands, Dole and The Walt Disney Company, have partnered together to help families eat healthier this summer during road trips and summer vacations. The new initiative, Fuel Up with Dole, kicks off May 25th (National Eat More Fruits and Vegetables Day) with fun-filled recipes inspired by the characters of Disney●Pixar’s Cars 3, which opens in theaters June 16th. Join us and Cars 3 characters Lightning McQueen, Cruz Ramirez, Jackson Storm, Miss Fritter, and Smokey Hudson™, and get ready to make healthier food choices this summer. You can even enter to win a 10-day, 9-night road trip itinerary for four people to any destination you choose in the U.S. and Canada when you snap and share your best healthy vacation photo and caption between May 25th and July 19th. (MRV of the Grand Prize is $11,400). 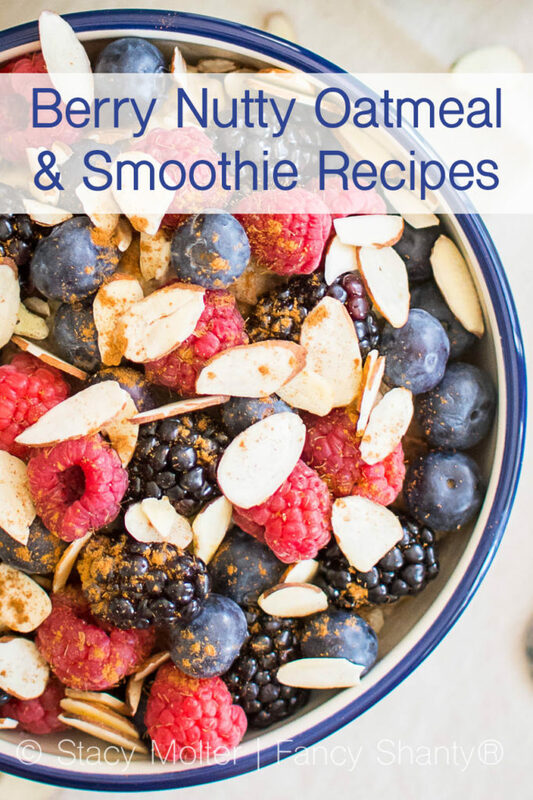 For recipe inspiration, check out our healthy Berry Nutty Oatmeal & Smoothie recipes below and get inspired to enter to win starting May 25 through July 19!! Beginning May 8th, supermarket shoppers throughout the U.S. and Canada will find Cars 3 characters on DOLE fruit and vegetables as well as a dedicated Dole microsite that will feature an interactive quiz, character recipes, contest details and other healthy-living inspiration. A highlight will be the Dole Fuel Up Family Road Trip Guide, a free, downloadable resource offering parents portable fruit and vegetable recipes, travel-worthy nutrition tips, and other seasonal insights from the Dole Nutrition Institue. One of our favorite recipes featured by Dole for this initiative is this “Buffalo Bites with Pineapple and Chicken” (inspired by Cars 3 character Smokey.) 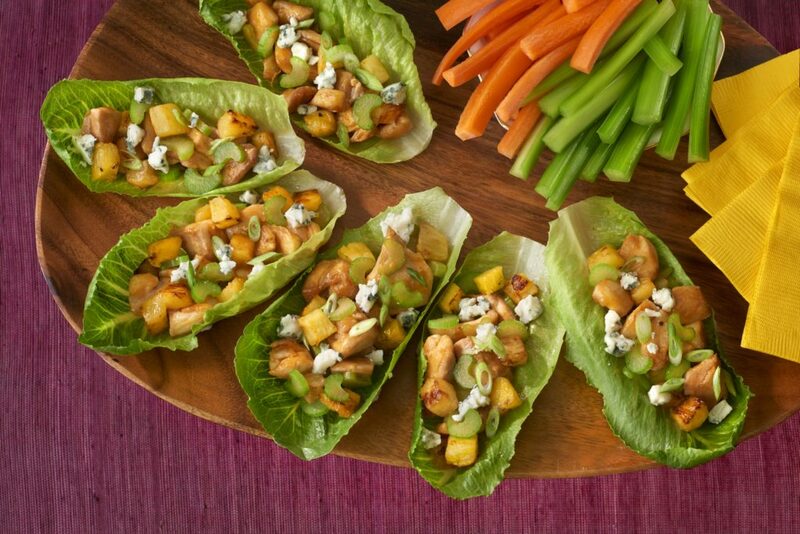 The sweet flavors of the boneless chicken breast and pineapple paired with hot sauce and served in a romaine lettuce boat make the perfect on-the-go, road trip meal that's fun to eat. Trust me when I say kids will love this meal! 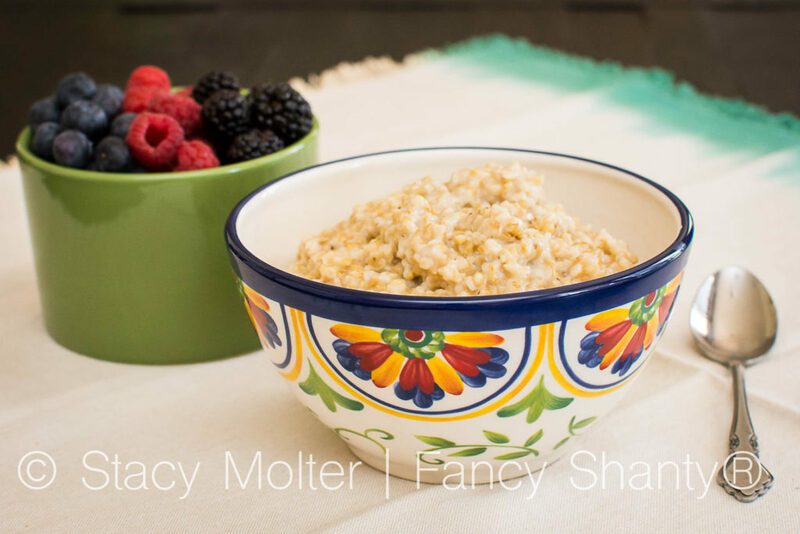 To help you get started on making healthier food choices this summer, we're sharing one of our favorite healthy vacation breakfast recipes inspired by Lightning McQueen and Jackson Storm, our berry nutty oatmeal. With just 4 ingredients, this recipe is perfect for enjoying a vacation abroad or a staycation at home. 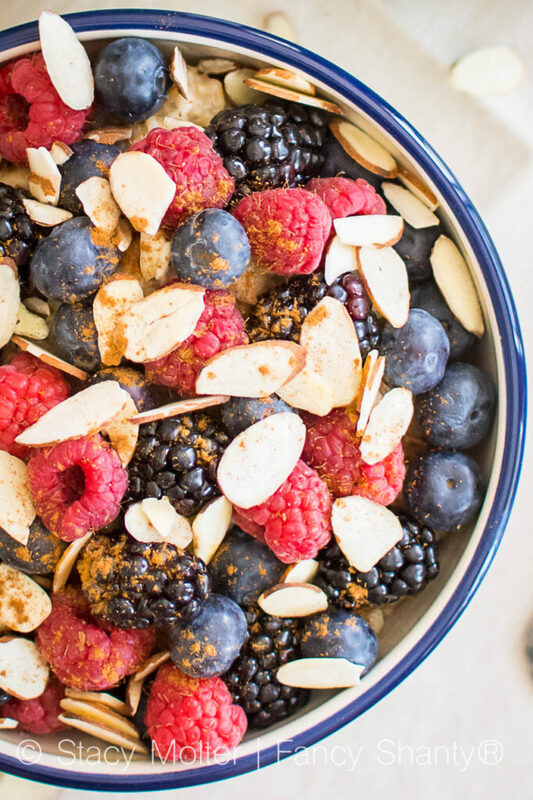 While this recipe requires soaking the steel-cut oats overnight, we totally understand getting swept away in the moments and forgetting to prep the oats the night before. 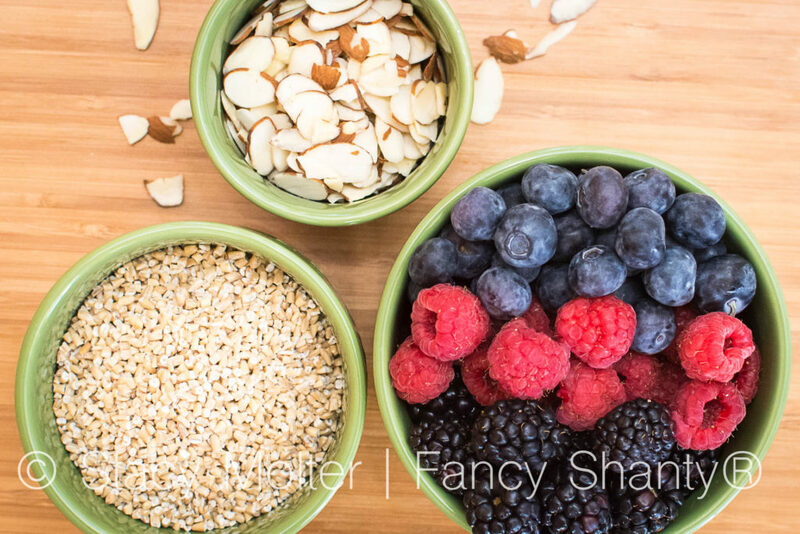 That's why we're also sharing how you can turn these same ingredients into a healthy smoothie with no prep required. 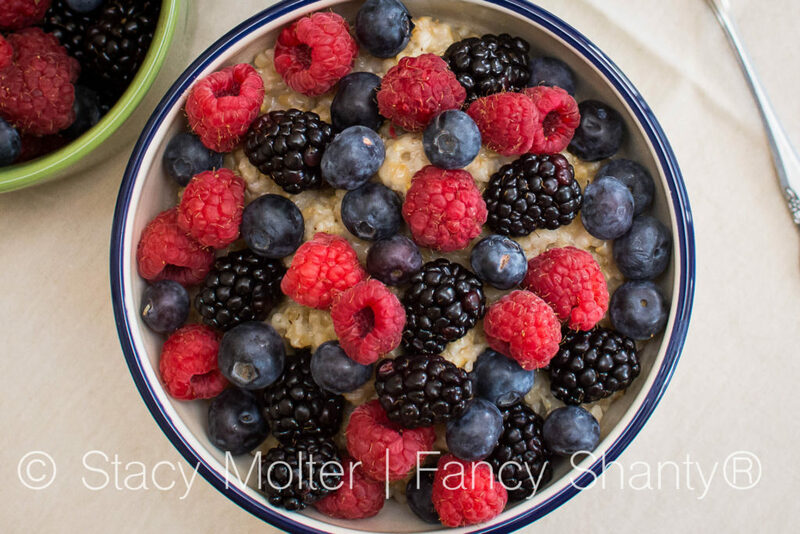 To save time, you can even make an entire box of oats at one sitting, then separate and freeze the cooked oats in 1 1/2 cup portions with the berries and cinnamon. To eat, simply remove from the freezer and reheat in minutes. Just remember to add the nuts and the seeds after reheating. Why do we love this recipe? 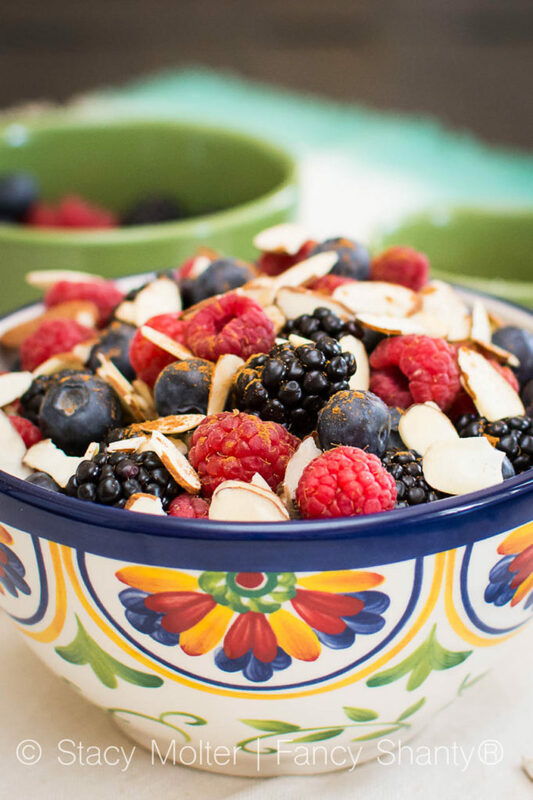 Not only is this recipe packed with 10g of protein per 1/2 cup (dry) serving of oats, the berries are little superfruits packed full of antioxidants and polyphenols to help fight chronic disease and cancer, and cinnamon can boost metabolism, lower cholesterol levels, and suppress appetites. Plus, researchers at Tufts University believe that blueberries may someday protect astronauts against the radiation-induced free-radical damage experienced during extended space flight. 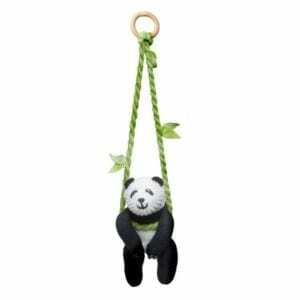 Awesome right! Add the oats and 1 cup of water to a bowl. Cover and soak overnight in the refrigerator. The next morning, simmer the oats and water in a saucepan for approximately 30 minutes. 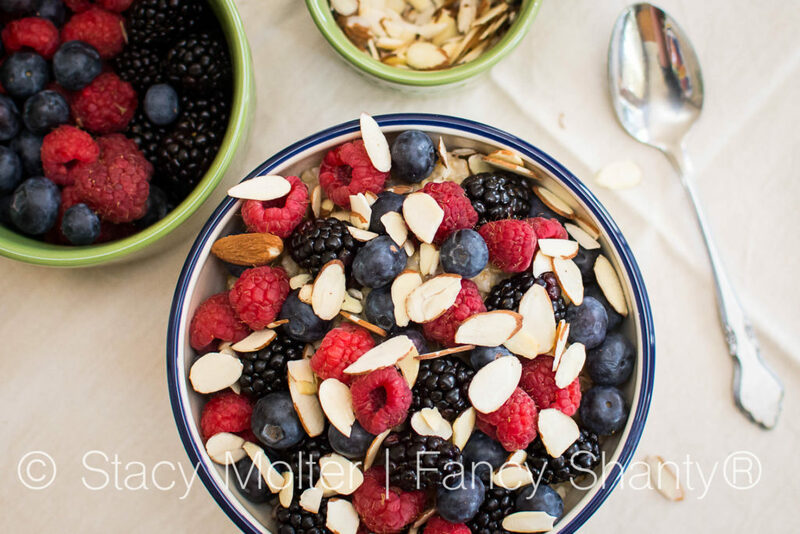 When oats are finished cooking, serve and top with berries, nuts, or seeds. Add cinnamon to taste. If you are super rushed for time, which is us more than I like to admit, you can turn this recipe into a quick and easy smoothie. 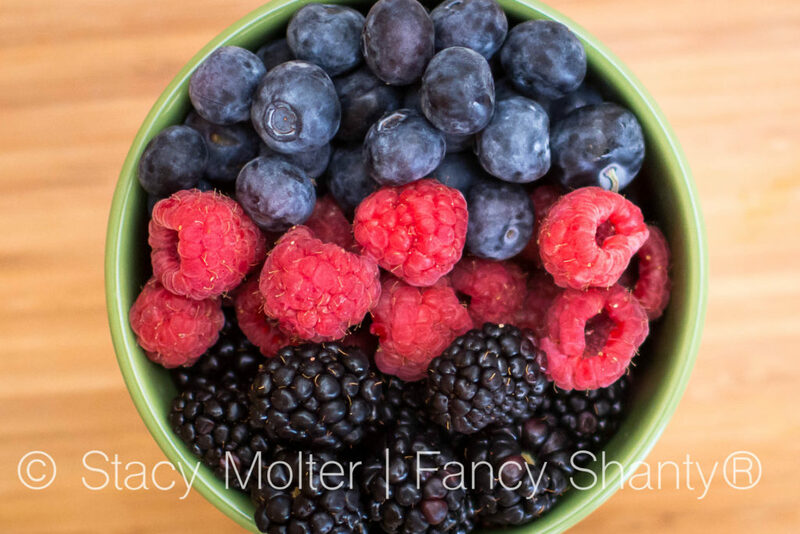 To make a Berry Nutty Oatmeal Smoothie, place the oats in a blender and pulse until it becomes powder. Add the nuts or seeds and continue to blend until finely ground. Add 1 cup of water, fruit, and cinnamon to taste then blend until smooth. 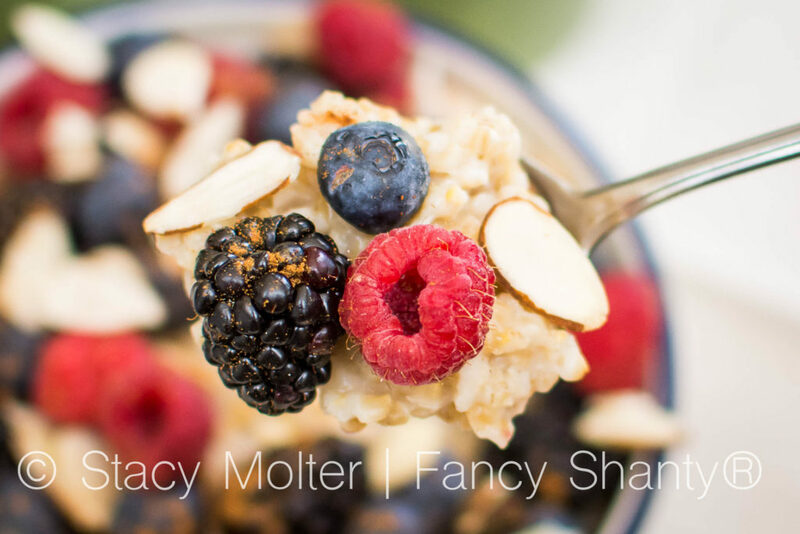 Don't forget to pin this Berry Nutty Oatmeal & Smoothie Recipe to share with family and friends.